EXCLUSIVE AT NET-A-PORTER.COM. Emilia Wickstead says her bride is a sophisticated romantic and designs pieces that reflect that sentiment. 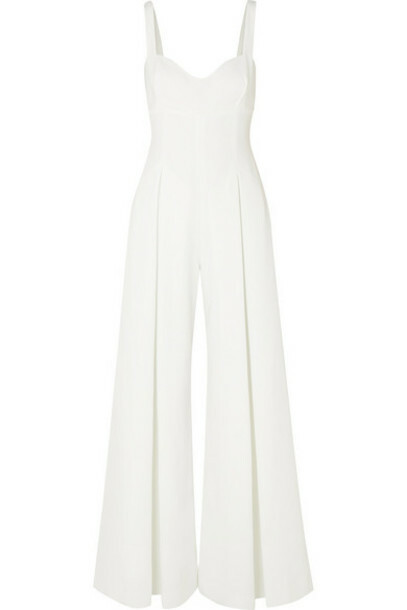 Reworked in white especially for us, this 'Ellen' jumpsuit is such a sleek and flattering choice for your special day. It has been made in the UK from tactile cloqué with an elegant sweetheart neckline and low scooped back. Balance the wide-leg silhouette with heels and slip the matching jacket over the top when heading outside for photographs.